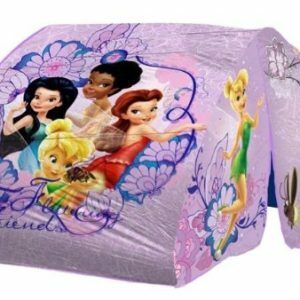 Imagine your little one sleeping surrounded by the most famous Disney princesses of all time. 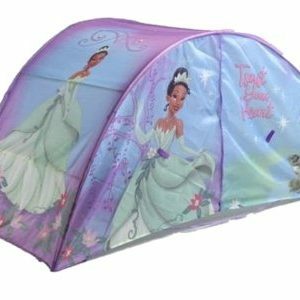 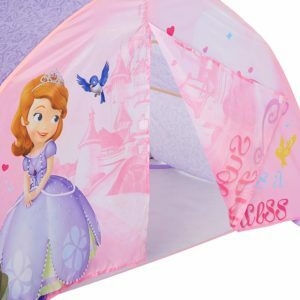 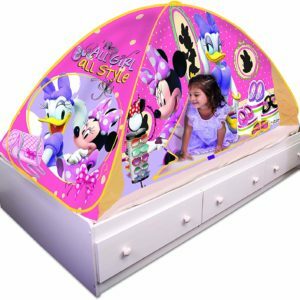 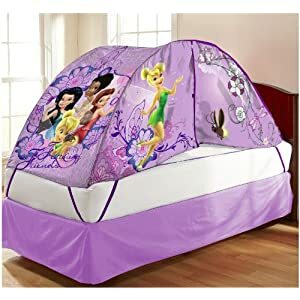 This pink Disney Princess Bed tent will perfectly match every girl’s room. 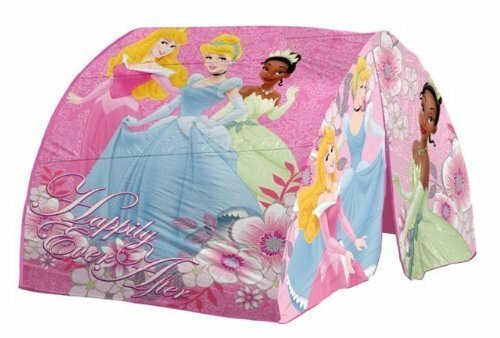 It features the princesses Cinderella, Aurora and Tiana in a pink background. 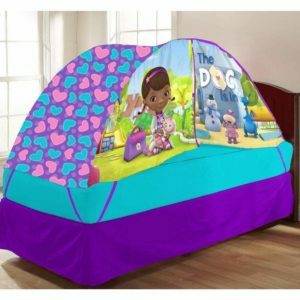 The tent has a front door that you can leave open or that you can close for more privacy. 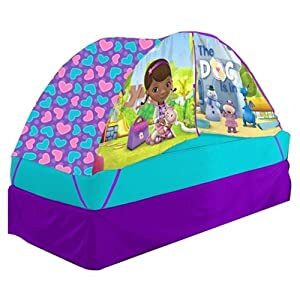 It’s a great place to play or cuddle up in and it even has a push light (4 AA batteries required) so that your kid can still read or draw when it is dark. 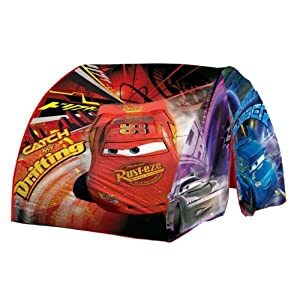 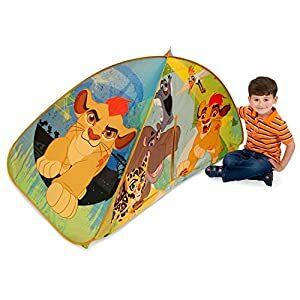 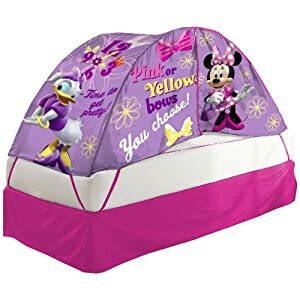 This tent makes a great birthday present or Christmas gift ! 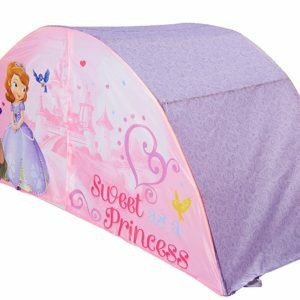 Product dimensions : 3 x 16 x 7.5 inches.